Summer is just around the corner, and for the next couple of months we’ll be busy planning programs and getting everything ready for the Summer Reading Program. We want to make it even better than last year and we need your help! 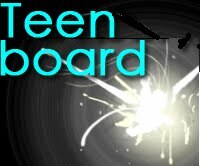 Join our monthly teen board meetings in April and May to help us plan the programs YOU want. We’d love any and all teen input! Volunteer at the library and make it yours! April’s meeting is Saturday the 8th at 1:00 PM. Stay after the meeting and join in our monthly gaming event at 1:30 PM. with poetry crafts and activities.